This handy little bag carries your tools, a spare tube and a few other small items. It fits perfectly into the Nitto T cage, but you can use a toestrap (not included) to attach it to most bottle cages or even your saddle. 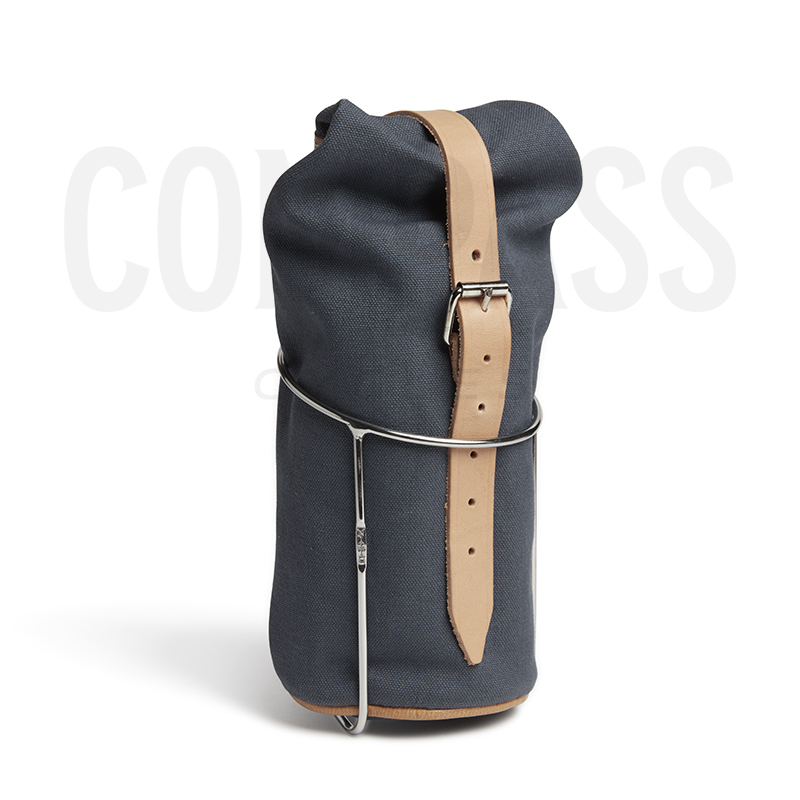 Made from the same waterproof cotton as Gilles Berthoud’s bags and panniers, with edging made from durable leather (tan) or nylon (black). With a reinforced bottom, it’ll give many years of service, while acquiring a beautiful patina as it ages. Berthoud continues to make the classic Sologne bags. With more than 50 years of experience, the bags are sewn in France from waterproof cotton, and edged with leather (tan edging only). These traditional materials work well, keeping the contents dry even during a rainy 50-hour ride in Paris-Brest-Paris, and they are lighter than most ‘modern’ materials, too. Made from natural materials, Gilles Berthoud bags acquire a beautiful patina as you use them.